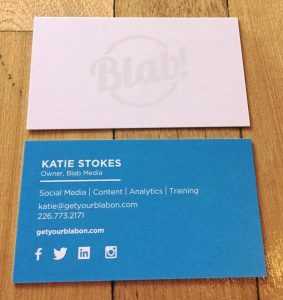 A lot of things have changed in the past two years but Blab’s business cards haven’t so it was about time for a refresh. I wanted to upgrade the design a bit and add more modern finishings for a sleeker, more sophisticated look. A big thank you to Imaginative Group for helping me bring my vision to life. 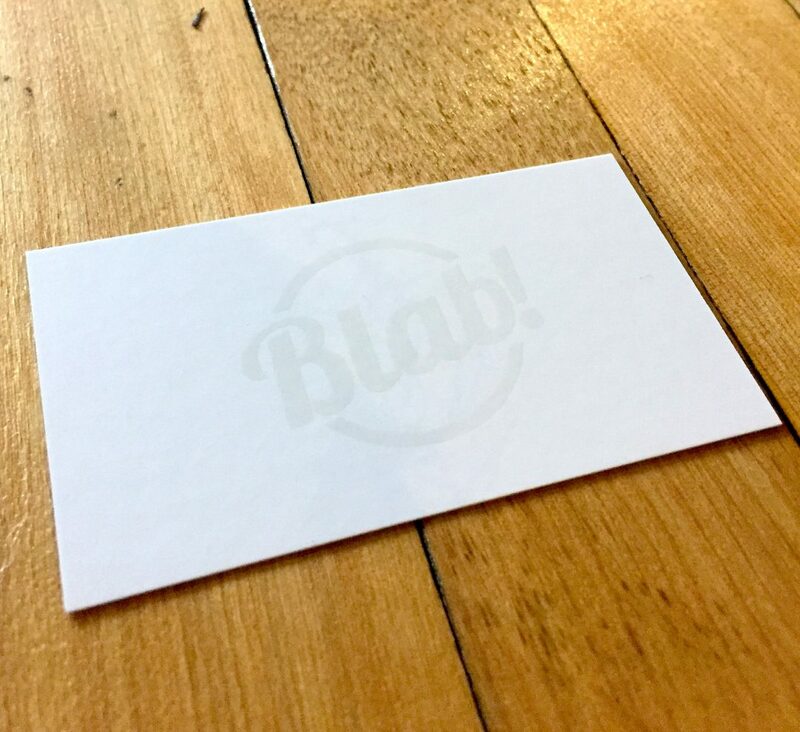 I decided to hide a blab logo on the front with a white-on-white Spot UV and was very happy to see that it turned out perfectly. It feels good to have new cards and I’d be lying if I told you I haven’t been flashing them around constantly. Next time, embossing! Where do you get your business cards designed/printed locally? There’s just something special about a new year! It’s a fresh start, a different outlook and a chance to do things differently. As we embark on what is sure to be an incredible year, I’m taking the time to lay out goals and really reflect on how Blab can grow in 2016. That being said, I think that sometimes motivation can be hard to come by when you’re a busy entrepreneur that’s trying to find balance in your life. It’s because of this that I’ve decided to start a weekly blog series that’s designed to spread positivity and help you to start each week with a fresh new outlook. As someone who carries their phone around 24/7, I know first hand that it can sometimes feel more like a burden than a convenience. I’m constantly checking emails, getting notifications, listening to voicemails and fiddling around with one thing or another no matter where I am or what time it is. I don’t even want to know how many hours each day I spend looking at that screen and frankly, I could do without that information! Since I spend so much time looking at my phone screen, I decided to use that valuable real estate as a place to display my weekly mantra so that every single time I check it, I’m reminded of what I’m focusing on over the next seven days. The best part about these mantras is that their all customized by me and for me. On Monday morning each week, I take a look through my favourite wallpaper app (appropriately named Wallpapers) and choose a quote I feel will best sum up my weekly goal/vibe. Sometimes it’s silly, other times it’s business related or poetic. 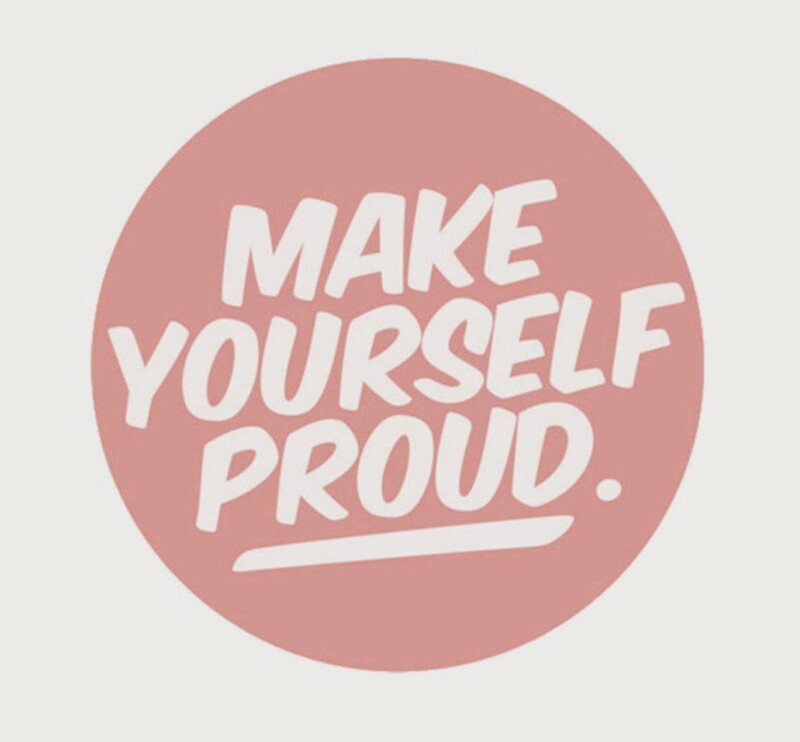 Either way, it guides me through each week and ensures I keep my head in the game so no matter how busy, frustrated, upset or stressed out I become, I can always keep myself on track. 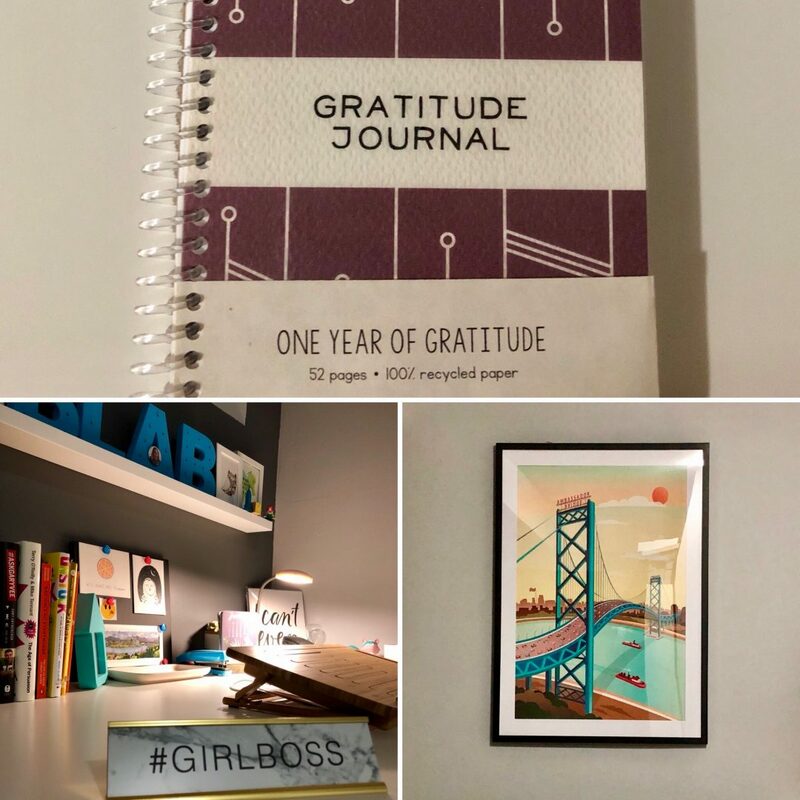 So far I’ve really come to appreciate how much this simple process helps me stay focused and I’m looking forward to sharing my weekly mantra with you on the blog each Monday. But don’t just take my word for it, try it yourself! Build up a stash of good quote wallpapers (or make your own) and every Monday morning, before you dive head first into your busy schedule, choose one that you want to guide you through the week and then spend the next seven days owning it! Check out my past mantras from January below and share some of your favourite motivational quotes/sayings in the comments. 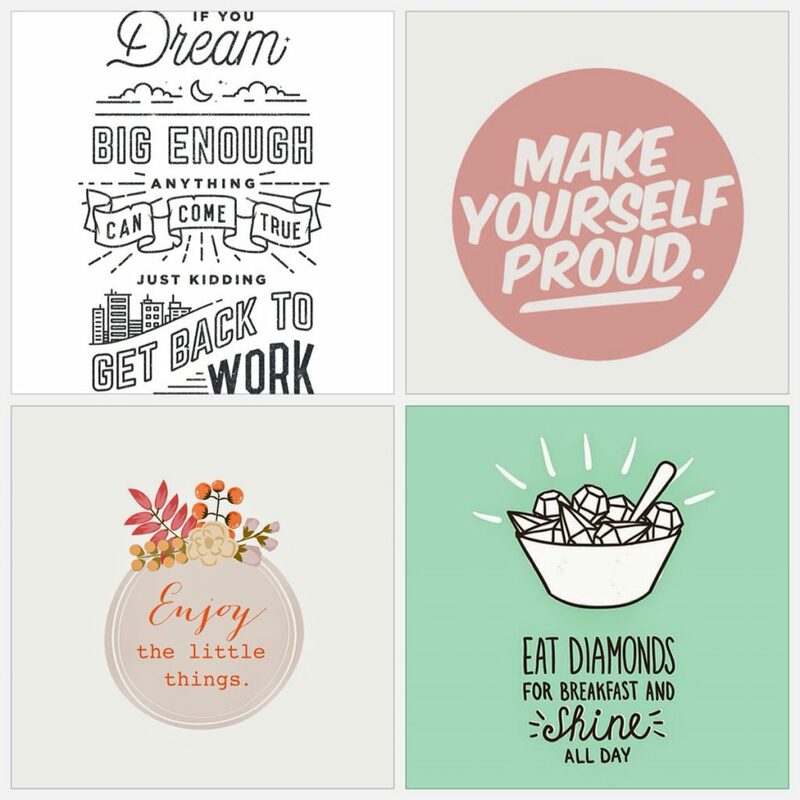 Have you started embracing weekly mantras on your smart phone? Share it with us on social via our Facebook Page or Twitter account. We’re excited to announce that Katie has been chosen as the first speaker in a series of featured young people at the YKNOT Windsor-Essex 3rd 3rsday mixer this month! Come out to Abars on August 21st from 6:30-8:30 to mingle, meet new people and hear Katie’s story about what ties her to Windsor-Essex as a young person and an entrepreneur. For more information and to register for the event, visit the Eventbrite page here. 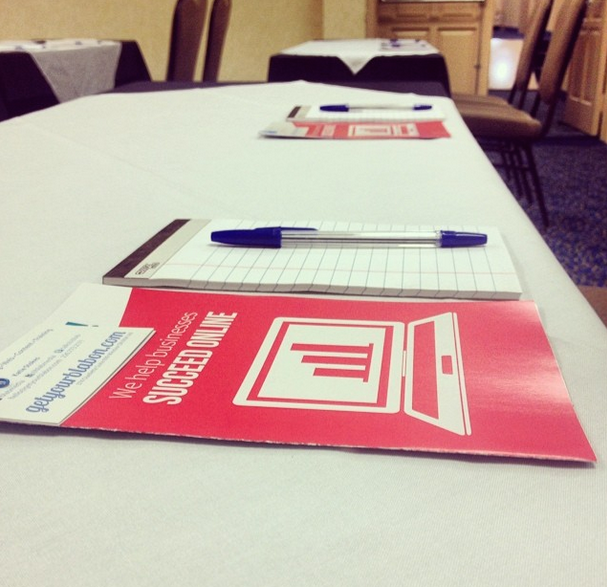 This week we hosted a social media workshop offered exclusively for DWBIA members! We were at The Holiday Inn Downtown on Tuesday June 17th from 4-5:30 and Thursday June 19th from 5-6:30 with a great turnout for both sessions. We met some awesome business owners representing bars, restaurants, retail, service-providers, hotels and organizations. We were very happy to hear the positive feedback and look forward to offering this workshop and others like it to additional BIAs and member-based organizations in the city. Contact us if you’re interested in learning more about our workshops! Almost exactly one ago, the youth retention task force that Katie helped start received funding from Trillium to continue tackling the issue of youth retention in the region. After many months of planning, interviewing and organizing, Blab is proud to present the branding for the organization that will spearhead youth retention in the region for the next 16 months and hopefully beyond; YKNOT Windsor-Essex. We spent weeks brainstorming, exploring different options and researching concepts with our intern Anna before we decided on the perfect fit for the organization. As young professionals with such strong personal ties to Windsor-Essex, we’re very excited to have been chosen to brand this initiative! As part of the launch the team would like to ask what ties YOU to Windsor-Essex? For more information and to get involved, be sure to check out the website we created at www.yknotwe.ca. Stay in touch with them on Facebook, Twitter and Instagram for more updates after the launch! Can you guess what we’ll be helping to launch on May 22nd? If you’re a young person living in Windsor-Essex, we guarantee you’ll want to get involved! Stay tuned to our blog for more information! 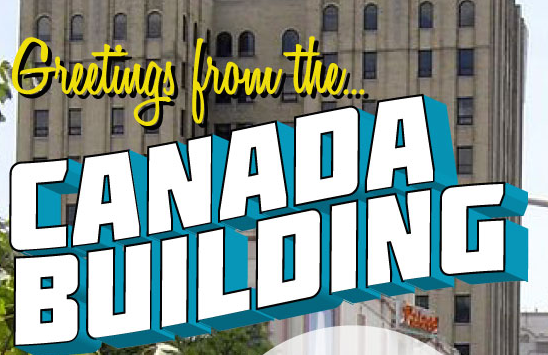 Greetings From The Canada Building! It’s official, we have a new office and we’re absolutely geeked about the space! We’ve been a bit secretive the past few weeks as we renovated the space, painted the walls, organized our things and adjusted to our new high-rise location but we’re finally ready to show the world! Our office hours are staying the same but our address is now 374 Ouellette Ave suite 609. Stop in and say hi! We love doing what we do, there’s no doubt about that, but now we get to share the experience with two interns who are diving head first into our world of social media. We’re excited to share our passion with other young people in the city and to give them an opportunity that most didn’t think was attainable in Windsor. As entrepreneurs who grew up in this city and went to school here, we understand the pressure to pursue a future in other cities like Toronto where opportunities seem to be bountiful. We know first hand what it’s like to crave a successful future working in the field we studied and we know what boundaries and obstacles lie in the way for Windsor graduates. It’s because of this that we strive to retain local talent by showing these young people what opportunities Windsor-Essex offers and how they can be leveraged for success. Thinking about your future can be a scary concept, and unfortunately in Windsor-Essex, often times those thoughts involve leaving the city. One of our interns, Cristina Matteis, knows all too well the pressure associated with graduating. She is currently a third year Advertising student at St. Clair College Centre For The Arts and wants to explore her options before deciding on an internship location and venturing out into the workplace. She knows social media is an important aspect of any marketing strategy so when presented with the opportunity, she came to Blab Media to learn more about Windsor businesses and their social habits. Cristina brings to our team a broad range of knowledge, a strong work ethic and a bright personality that shines through in any situation. Gaining experience in the industry can be a key element when it comes to getting a job in any field. Natalie Lahoud, our second intern, doesn’t take this lightly and values the experience and the opportunities that are often presented when the initiative is taken to further your knowledge. A graduate from the Odette School of Business, Natalie knows the ins and outs of the corporate world but her love for social media was never something she could explore in the classroom. She found Blab Media online and knew that her chance to explore the corporate world of social media was within reach. 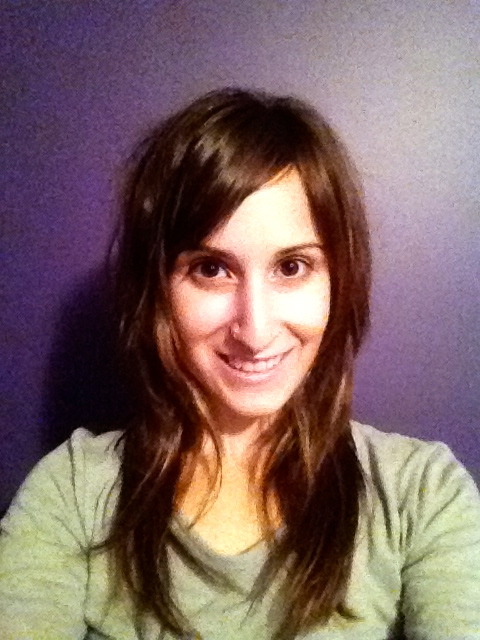 Natalie brings to our team a strong business background and a a go-getter attitude that is sure to be contagious! We look forward to working alongside both of these talented young girls and helping them realize their own potential and the potential this city has to offer them in the future. Welcome to Blab Media Cristina and Natalie! It’s hard to think back one year ago to the day we first launched our website and started this whole adventure. In the past 365 days our lives have completely changed for the better. We have met so many new people and become so much more involved in the community. We have worked alongside some amazing businesses and we’ve gone from working in our own homes to working out of an office downtown. Being tenants at The House has been a great experience so far. It’s the perfect atmosphere for our business and it’s refreshing to be around other entrepreneurs with the same passion and ambitions. We now officially have a door sign and our outdoor signage is on its way so needless to say we’ve settled right in! We have some great clients and we’re even taking on interns this spring from St. Clair College! It’s crazy to think how far we’ve come in so little time and we have so many businesses and people to thank for helping us get to where we are today. So far it’s been a journey but we’re so excited for the future of Blab Media! Heres to the next year and many more successes to celebrate in the future!